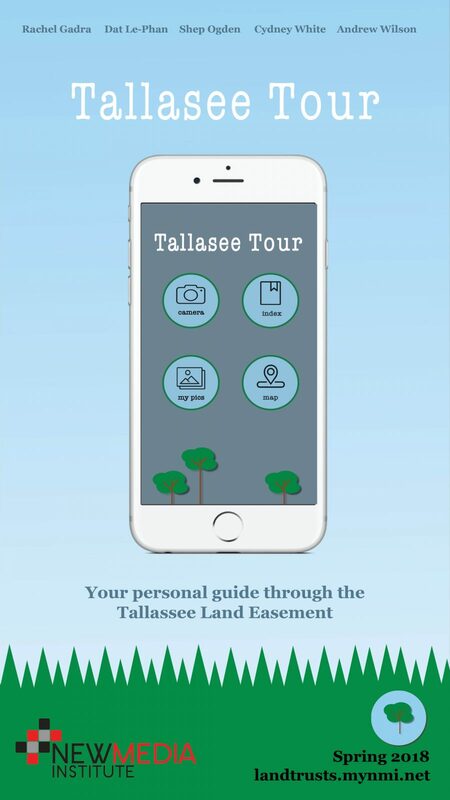 Combining the best of emerging mapping technology and conservation efforts, the Land Trust Team is proud to introduce the Tallassee Tour Guide, an interactive gaming app that guides users through the wilderness of the Tallassee Land Easement. On behalf of the Oconee River Land Trust, the goal of this project is to educate local students on the value of protecting nature and exploring the world around them. Take the Tallassee Tour Guide out into the wild for immediate information on local plant and animal species found along the trail. By collecting achievements and scavenger hunt badges, this app guarantees instant adventure in the palm of your hand.